Although there are many steps you can take and tools you can use to help get people to visit your website, the following methods will help you promote your site on search engines quickly, so that web users can find you easily. If you want to get traffic to your site immediately, you can display ads you’ve created to show up on Google, Yahoo, and MSN when people search for specific keywords. For example, if you wanted your site to show up when a person types in “widget A” in Google, you could bid on Google for the keyword “widget A”. If your bid was high enough, your site would show up on the right side of the Google search results, and you would only pay Google if someone clicked on your ad. Although these search engines are similar, you should expect to pay significantly more for Google and Yahoo because they display your ads on page one of the paid search results more often than MSN/Bing does. SEO or “search engine optimization” is a fancy term that simply refers to best practices to help get your website listed higher in the search results on top search engines (like Google). This helps people searching for your site find you quickly and easily. To help your website rank higher in the search results list, you should focus each page of your website on a couple of keywords (use different keywords for each page). The keywords you’re focusing on should be used within the content of the page and in your page’s headings. For instance, if you had a website about lawn care, you might want to create a page using the keyword “weed whacking.” However, make sure you don’t overuse your keywords. Sentences should read normally and not sound like something that was written for the search engines. You should also put the keywords you’re trying to rank for in your title tag (this is what is shown in the top bar of your browser). If you need a refresher on inserting title tags, please visit our Title Tags Page. Focus on a couple of keywords per page and different keywords for each page. Use those keywords in your title tag, headings and content. Write your content for your visitors – not for search engines. 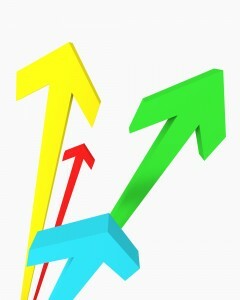 Directory links are a good method for increasing traffic and links to your website. Typically speaking, the more links pointing to your website the higher your website will rank in the search engines. However, the credibility and age of the websites which link to your site play a very important factor as well. 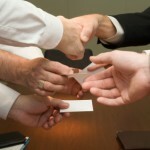 The following are some very strong paid directories. The directories are credible, old domains and will thus pass more link equity to your website than other paid directories. The high price point keeps spam and low-quality websites from being listed in these directories. Free directory links are good for increasing the number of links that point to your website. When determining which free directories to submit your site to, keep in mind that you’ll typically get the most value from directories that have a high Page Rank. Page Rank ranges from 0-10 (0 being the lowest, 10 being the highest) and is used to measure a website’s relative importance. For example, www.google.com has a pagerank of 10,www.utexas.edu has a pagerank of 8, and a website you just created probably has a pagerank of 0. UPDATE: Since the recent Google algorithm updates, free and paid link directories should be used with EXTREME caution. You should never have more general directory links to your site than pertinent, quality links coming from sites with a high Page Rank and natural linking structure. Comment on people’s blogs and type in your website URL if there’s an input field for that option. If your comment is approved/published, you’ll have another link pointing to your website. On top of this, you can ask for links to your site from people you know who run a website and can even reach out to website owners and bloggers you don’t know. A smart way of reaching out to web savants you don’t know is to send them feedback about something that needs to be updated/changed on their site, and then mention your own site and the relevance of a link on their site to yours (a soft sell of sorts). In addition to utilizing best SEO practices, you can also use the following marketing tips to increase traffic to your site. Sending out a regular email newsletter is a great way of interacting with (and getting repeat business from) existing customers. You can keep your customers up-to-date with your latest products and services as well as offer them coupons that incentivize them to buy more often. Email marketing software is a professional, effective method of sending regular emails to your customers. 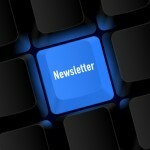 Be sure to include a few links to your website in your newsletter, as well as some calls to action. Promoting your website on your business card is a great way to drive more traffic to your site. In case people don’t remember your website name when you tell them, they’ll be able to refer back to your business card to go to your website. Visit our Business Cards comparison page to compare business card printing companies and select one that can take you from printed page to web page in a jiffy. Create a Twitter, Facebook and Google+ account and then link to your site. You can easily friend and follow friends and family at first and then expand your social network to include other people in your field. You’re building a community so that other people will want to follow or friend you in return, so make sure to post often to these sites and not just promotional links. Also, feel free to comment on others’ tweets or re-tweet them. Twitter is all about reciprocity, and if you’re generous, chances are others will be too. Learned all the basics of promoting your website? Enhance your website with our Website Creation Tips – Click Here!